As I mentioned below I have a new camera and now I get to share with you a gift I received for Christmas. 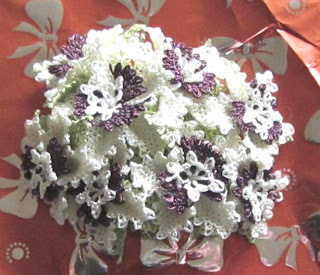 A lovely needle lace oya pin from my friend Rengin. It is so delicate and reminds me of a spring bouquet. Thank you Rengin. 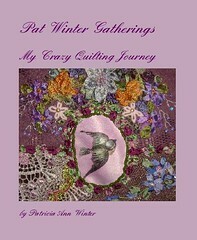 She is a master at Crazy Quilting, please visit Rengin's Colors blog to see her beautiful works of art. The Oya pin is gorgeous! Lucky you!